Dr Shane Abucewicz Tan obtained his Bachelors in Medicine and Surgery from the National University Of Singapore (NUS) then went on to get his post-graduate surgical membership at the Royal College of Surgeons, Edinburgh. He has presented at various international conferences and published articles on plastic reconstructive surgery, general surgery, basic science, and medical education. He is a practitioner and member of the American Academy of Aesthetic Medicine. 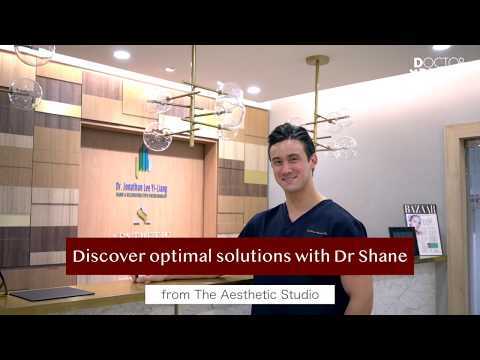 "Effective pico treatment for acne"
"Brilliant experience with picosecond laser treatment"
"Pico laser treatment from a friendly doctor with no hard-sell"
Dr Shane is a friendly doctor, he answers all my questions that I have and share his knowledge of skin care and skin disorder. He also recommends the best treatment and not the most expensive one. Thank you! "Happy with my results for acne treatment with Dr Shane"
Not the review you're looking for? Browse other reviews tagged Acne & Scars Skin, Hair & Nails Aesthetic Medicine or ask your own question now FOR FREE. We all have that one friend or family member who insists that eating oily food can cause acne or that fruits can help you get clearer skin. Are these just myths or have they been medically proven? This was on the mind of Stacey, a DxD reader. She recently watched a video of a dermatologist making a claim that food in general, (except dairy products) does not cause acne, e.g. eating pizza wouldn’t cause acne but smearing it all over your face would. She wanted to find out if there's any correlation between her diet and complexion. She was also curious about the legitimacy of DIY face masks made from fruits. Dr Shane Abucewicz Tan shared his professional opinion with Stacey. Here's what he had to say. Facial extractions can be great for clearing up clogged pores. However, some people have experienced dark, brown spots after the treatment. If you’ve experienced these as well, you’re probably wondering what's the cause and how to get rid of it. Experienced doctors from the DxD community shared their professional insights with a 22-year-old reader. She was concerned about the brown marks that were left behind after a facial session. Here's what they had to say. Anyone who has struggled with active acne breakouts knows the frustration these red glaring bumps bring. However, the scars and blemishes and scars they leave behind can even more troubling. The good news is acne scars can be treated. Depending on the type and severity of the acne scar, there are a variety of treatments that can help. Watch the video to find out how I help my patients tackle their acne scars efficiently and safely with the PicoPlus PicoScond laser. Not the question you're looking for? Browse other questions tagged Acne & Scars Skin, Hair & Nails Aesthetic Medicine or ask your own question now FOR FREE. Can the Picosecond laser treat all types of acne scarring? How effective is laser treatment for milia around the eyes? How to tighten saggy cheeks? Are there any good alternatives to Accutane for cystic acne? Can Rejuran be combined with HA fillers like Restylane for better results?